Hungary has shown genetically modified food companies who’s boss by destroying 1,000 acres of maize planted by the biotech food giant Monsanto. According to Lajos Bognar, Hungary deputy state secretary of the Ministry of Rural Development, the destroyed corn was grown with genetically modified seeds, which are banned in the country. The maize has been plowed through, but pollen has not been spread. Investigation controllers found that a large portion of the seeds planted were products of Monsanto, known for their controversial role in the genetically modified food industry. The European Union’s free movement of goods means authorities won’t investigate how the seeds got to Hungary, but rather where they can be found. With two of the largest international seed producing companies involved in the matter, thousands of acres could have been sown throughout the country. This has understandably upset many farmers, who were unaware they were using GMO seeds. To add insult to injury, it’s too late for farmers to sow new seeds since the new season is already under way. To add, well, another insult to another injury, the company that distributed the seeds is under liquidation, so if there is any compensation paid by international seed producers, the money will go right to the creditors of the company rather than the farmers. 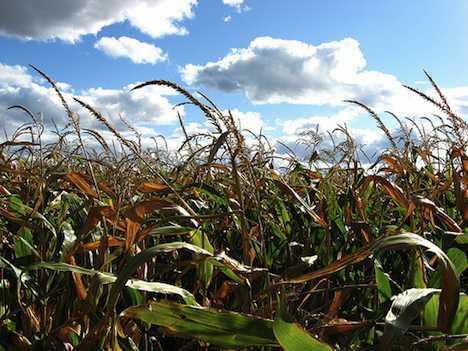 How do you think countries should go about regulating genetically modified seeds?